La Caune or The Cave aka The Cave Of Perillios is located in an almost desert area off the Mediterrenan coast by Chateau De Perillos. It is the final scene in Lars Mul book, “The O Manuscript” as Lars believes this was the cave Mary Magdalene did her 40 days in the desert work, he also reports the oldest Black Madonna was found here. My experience is this is a very sacred place, my feeling was it was a place of intense rituals by those worshipping Mary and Jesus. It is difficult to say exactly. However, the tour group of 2017 loved this place. 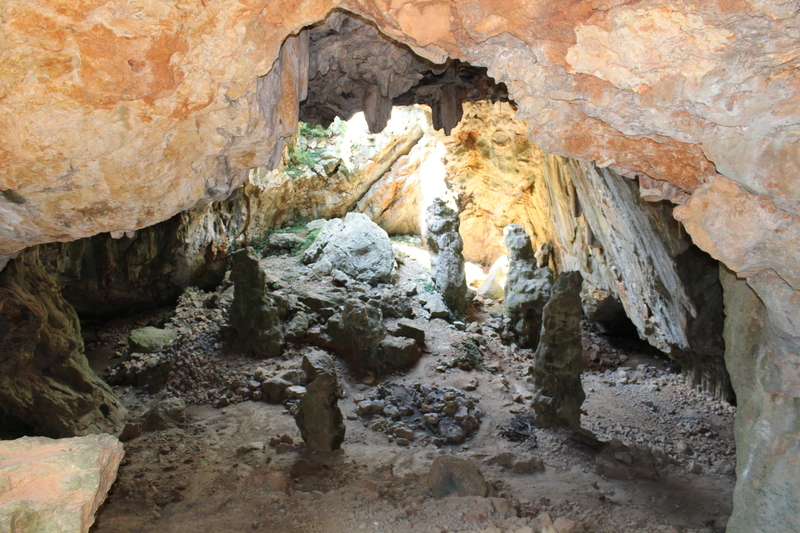 It is a powerful, large cave with plenty of light, yet still is a cave with all of the cave features. It is a good place to commune with the presence of Mary, for sure.